Eden Project is really well worth a visit if you are in this part of the world. We love Eden especially at Easter, there was lots of crazy egg-themed games, including a new take on netball (‘nest-ball’ anyone? ), the tricky ‘pickled eggs’ (no eating involved! ), and a giant ‘egg-scramble’ course complete with ball-pool team challenge. Elsewhere there is a hook-a-duck, take part in trails for all ages, track down some elusive golden eggs, or bounce your way down inflatable slides. Prizes and treats was awarded to successful egg hunters! 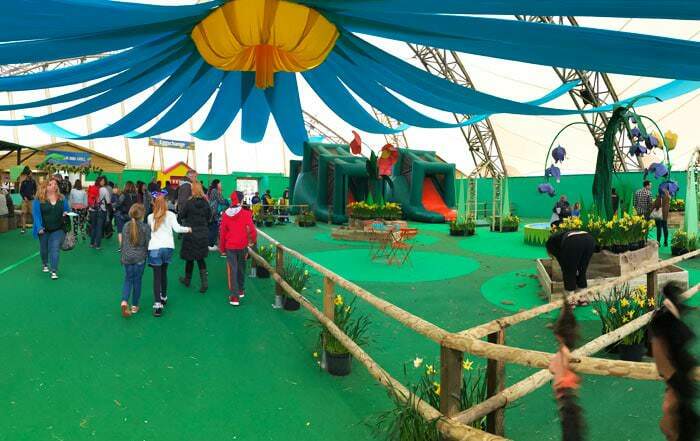 Our children just had so much fun and there is so much to do and see, nice play areas, excellent food hall with lots of choice for vegans and vegetarians and people with allergies. The biomes are amazing. My favourite is the rainforest one with interesting and engaging displays in the rainforest biome, the plants are incredible, even the atmosphere is like a rain forest. Go right to the top and walk across the canopy walkway, where you can take a stunning walk among the treetops along the rope bridge and through the swirling vapours of the cloud bridge. Check out the other Mediterranean biome, amazing variety of plants and often have storytelling and shows for the little ones. We also loved the fact that Eden Project is dog friendly (apart from inside the biomes and buildings) if you fancied a picturesque place to walk your dog. The Eden Project also hold various events throughout the year with different themes, well worth a visit all year round. The gift shop also has a broad range of things to buy, lots of goodies to temp you on your way home. We always come to Eden as we absolutely love it and it’s only 50 min drive from St Ives. Check out our self catering properties in St Ives & Carbis Bay for your visit to Cornwall. Lots of indoor and outdoor games and activities for the whole family to try out. 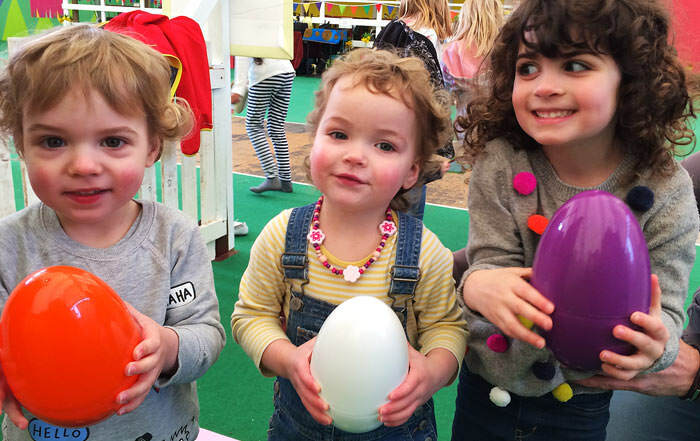 Take part in a Golden Egg hunt with a difference and gather up eggs from the egg coop. Challenge friends and family to our giant scramble course to get some farmyard animals safely back in their pens. Plus – pick up special Easter prizes and chocolate treats to enjoy during your visit. Great photos, looks like a good place to visit.